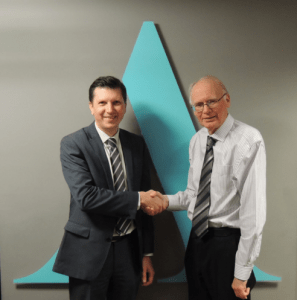 In what has been a year of unprecedented growth for leading accountancy practice Aston Shaw, the firm are pleased to announce the acquisition of local tax practice A&T Associates owned by Richard Harris after he retires on 1st December 2015. This deal marks the second practice acquisition in under 6 months for the firm, continuing Aston Shaw’s ever growing presence in the East Anglian region. Richard Harris is a seasoned tax advisor with a notable background as an HMRC Inspector, tax lecturer, in-house trainer and tax manager for some of the UKs most high profile firms such as PWC, KPMG, BDO and Grant Thornton, before setting up his own tax practice in 1994. The Norwich based practice boasts an impressive 350 strong client base and offers a full range of specialist tax related services to both individuals and SMEs in Norfolk. This is the latest in a series of moves to drive expansion of the 6 office regional firm – with even more developments in the pipeline before the end of the year.